are compression stockings a long term treatment for varicose veins? 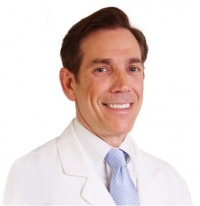 » Watch Next Video by Louis Prevosti, MD - What is chronic venous insufficiency? How big are the scars left behind after varicose vein surgery? What chemicals are used for varicose vein injections? Are compression stockings a good long term treatment for varicose veins? Well, wearing compression stockings long term is not a great long term treatment for varicose veins because how many of you want to wear day in and day out for the rest of your life compression stockings. Now, compression stockings do help combat varicose veins and venous insufficiency and will help relieve the discomfort and aching and swelling. But, the definitive treatment is necessary to permanently alleviate varicose veins.